Man has a stubborn heart. 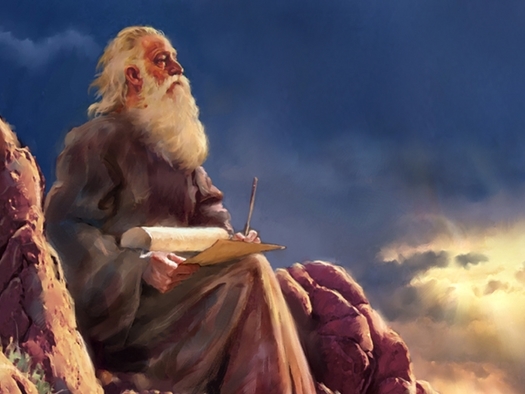 The book of Jeremiah is a powerful testimony to the gracious mercy of God and the rebellious heart of those set on doing what they want to do regardless of what the word of God says. Israel had been torn apart because of sin. Ten tribes had been completely destroyed and the remaining two tribes of Judah and Benjamin were struggling to keep their heads above the tide of judgment sweeping the land. Babylon was the super-power of its day and judgment had come to the city of Jerusalem. Zedekiah the king of Judah saw his sons killed before his eyes before Nebuchadnezzar put out Zedekiah’s eyes taking him bound to Babylon. The governor had been murdered along with many other Jews. Eighty men who came to worship at the house of the Lord were murdered and thrown into a pit. The people came to Jeremiah asking if the Lord would allow them to flee to Egypt. He warned them disaster would meet them if they did. These were perilous times. If there was a time to listen to the word of the Lord, it was now. The response of the men who came to Jeremiah is quite telling. They knew their wives had burned incense to idols. For the past few years the nation of God had been devastated by assassination, invasion and calamities one after the other. Now the heart of the people rested in the hope of Egypt to deliver them. Inquiry had been made whether the people should go to Egypt and Jeremiah had told them the Lord forbade it. In an open statement of rebellion, the people refused to listen to the word of God because they knew better. Anything Jeremiah would tell them was of no use because if anyone would save the people it would be the people. They blamed God for their misery (which was actually true) recalling the bountiful days they enjoyed serving idols. What they failed to remember was the misery suffered throughout the land was brought about by the hand of God as punishment for their refusal to obey Him. And now they were going to do the same thing again and find the same result. No wonder Jeremiah is known as the “weeping prophet” after dealing with these people. The refusal of the people to heed the word of Jeremiah was very clear. They would not listen to him. Their rebellious heart was straightforward that anything they would decide would come from their own lips. The queen of heaven gave them happiness and they will follow her instead of the Lord God. Living under the blessings of idols, they believed they had plenty of food, were well off and saw no trouble. Life was good under the hand of ungodliness. Living under the hand of God only brought misery. So they thought. Judgment did come to the people. Their lives were destroyed and they lost their hope of salvation. For a bowl of pottage in life’s quagmire of sin, life was fruitful for a moment and then death. When awakened in eternity, they learned there was no queen of heaven – only the Lord God Almighty. Reading the prophets has always been the historical reference to our present day. Pleading to a lost and dying world to follow Jesus is ignored because men see that living a life of godliness is oppressive. Enjoying the gusto of life with all of its trappings of immorality, parties, free spirit of doing whatever pleases the flesh is the same language of worship to the queen of heaven. Life is better when the flesh is satisfied. Joy comes from a bottle or drugs. Sexual prowess is the badge of lustful pleasure. Money brings the happiness of the soul. “Do not listen to the word of the Lord,” they cry. “It does not seek the good of man’s needs in the flesh,” they pronounce. And then – like the days so long ago in the land of Egypt – judgment comes. The party ends. Flesh is corrupt. Desire has faded. Death opens the eyes of the deceived. God is real. His word is true. Too late. Sad.